Larissa’s relationship with Colt Johnson was awkward from the moment she stepped off the plane and into the arms of her flower-less beau. Yet, fans soon realized this couple had more serious issues when it was reported Larissa had been arrested for domestic assault. Unfortunately, this was not a one-time incident. Larissa was arrested two more times for assaulting Colt. However, the previous assault charges got dropped.Larissa’s most recent assault charge stemmed from a fight between the couple which resulted in Colt filing for a divorce. According to an article from The Blast, the trial has been postponed in the hopes the parties can reach a deal. Sounds like Larissa wants to do what she can to avoid jail time. Can you blame her? After all, she was married to Colt so she’s already endured cruel and unusual punishment. I kid, I kid. They were both horrible. Assault charges aside, Larissa and Colt were able to reach a resolution on their divorce earlier this month. 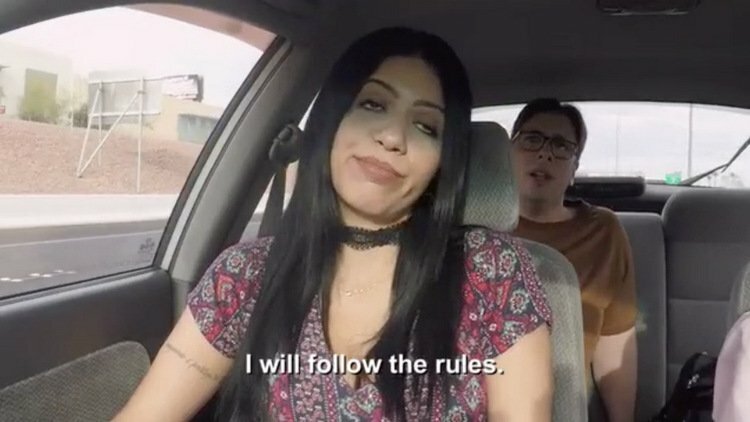 And we’ll be able to watch the ex’s on a new season of 90 Day Fiance: Happily Ever After? I never thought I would say that I miss those two but.. I miss those two. Admit it, hasn’t everyone missed the ear piercing, mind-numbing cry of Larissa calling out for Colt-e. And we’ll be able to see how mama Debbie Johnson manages to keep her son all to herself. Ahh, the ick factor is coming back. TELL US – DO YOU THINK LARISSA WILL AVOID JAIL TIME? DOES SHE DESERVE JAIL TIME?